Donna McNerney | Albany Estate Planning Lawyers Burke & Casserly, P.C. While one of our team was on maternity leave in early 2018, Donna filled in on a temp basis. We liked her so much, we asked her to stick around! 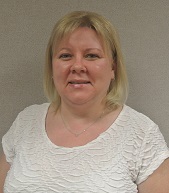 Donna is the firm's receptionist and administrative assistant. She'll greet you with a warm, friendly smile and a hot cup of java! She and her husband and three children live in Greenville.